From A College Senior: What Does It Take To Feel Okay? Wow! Where have Tina Fey and Jason Bateman BEEN!? Today, I went to see “This Is Where I Leave You,” with my mom. If you don’t know the movie I’m talking about, look it up! It’s the one with many, many famous actors in it, and their mom makes all of the adult kids live under the same roof again for a week. I literally loved the movie. Yes, literally. Not just love. It was literal. 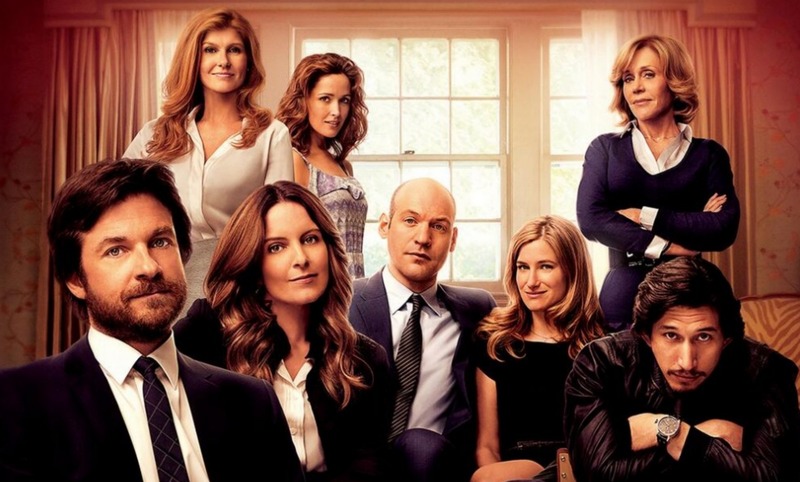 In the movie, Jason Bateman’s wife cheats on him and he leaves his job, and his dad dies. Not really in that order, but they all happened, and they all matter. He lives in New York, and he has kind of a cool life that he always planned. Cool job, cool apartment, great looking spouse, etc. Sound familiar? Hint Hint: My future. I think it's just the idea that your life is going as well as it needs to, and you are basically content with everything that is going on. I usually feel this way, but there are so many moving parts. I feel differently every single day. It's interesting to be someone who is my age, in my position, and make a decision about whether or not I feel okay enough. There is so much ahead of me, and I just can't predict everything that I will do. I do have a life plan. I mean, I have always been a a pretty big dreamer. I have big dreams and I dream about them in big ways. My most recent dream: New York. And I’m definitely going to do it! BUT what if, when I get there, I am not that okay? What if I get there and it’s not all I dream of. And most importantly, what is it that will make me feel okay? Is it a job? A friend group? An amazing apartment? An improv troupe? I have spent my life obsessing over doing what it takes to make me happy. But what would make me really feel okay with my life? What would it take for me to feel like my life is all lined up, and in place? When talking about my dream job, I have always said that I just want to be around people that I enjoy. I want to walk into work and greet people that I actually care about. I think that’s my major desire when it comes to my career. I guess there’s nothing I can do to plan this? As a final semester college senior, this is a major, MAJOR theme of my day to day life. It’s really a weird time. I’m looking at real adult jobs, I’m buying one way tickets across the country (oh yeah, I BOUGHT MY TICKET TO NY!!!) and I’m just doing things I’m not used to. I think I’ll put this in my “just let it happen” folder. Being "okay" might be a process that I can’t predict. There have been times in which I feel broken, and there have times in which I feel full. Up and down, but I don’t think I’ll be able to guess what it will take to feel “okay,” and I think that’s fine. I am so incredibly into the idea of not knowing where the next step will take you. I am very into the idea of letting life take you where it takes you. I just wonder what it will ever take for me to be fine with my life. Have you ever thought this? Do tell! Leave a comment, and have a nice weekend! My Dating FAIL. Don't Worry, It Was All A Dream. Please Answer This Poll Really Quick: I'm Writing a Children's Story!